Ten days ago, a man who'd lost his mind committed an atrocity, perpetrating more evil in one day than most can even fathom possible in a lifetime. Unfortunately, he was not the type of insane person that looses their ability to function. Instead, he's caused the deadliest attack by a single gunman in recorded history. Anders Behring Breivik planned his crime for years and even wrote a 1,516 page manifesto explaining why he took the harmful action he did in Norway. "My thought was to save the last flask for my last martyrdom celebration and enjoy it with the two high-class model whores I intend to rent prior to the mission." He blamed the media, the people of Norway, and pretty much anyone else he could think of for what he perceived as the plight of his pure Norwegian identity. The mad ramblings also speak at length about video games helping to facilitate the massacre. 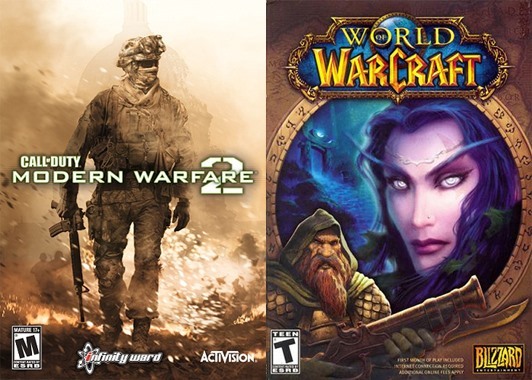 Call of Duty: Modern Warfare 2 and World of WarCraft were singled out as especially effective tools in preparing for the mass murder. The former for its ability to "more or less completely simulate actual operations" and the latter as a means of explaining long periods of solitude and detachment to acquaintances. As a result of this coming out in the media, two large Norwegian retailers, Platekompaniet and Coop Norway, have taken both games off of their shelves. But it didn't stop there. Platekompaniet appears to have pulled not only the last four Call of Duty titles, but Homefront, Sniper: Ghost Warrior and Counter-Strike: Source, as well. Also, Coop has reportedly stopped selling 51 items, including toy guns and all of the aforementioned games. What this guy is doing in Call of Duty is nothing like what happened in Norway last week. The man above is not preparing to lure and murder children. Video games have taken the blame for violent acts in countries around the world for decades, incurring varying levels of banning and censorship. But seeing two large companies move this fast to avoid even tertiary blame for something they clearly had nothing to do with is remarkable. Usually these things take time and waves of parental outrage to happen. Only time will tell whether these two companies made the right PR move by acting to distance themselves from products with negative connotations. Where they are wrong—regardless—is in implying that selling games like Call of Duty encourages acts of terrorism. Call of Duty is not actually a good simulator of real military operations. Military organizations would use it if it was. It was just one small part of a very misled man's delusions, an inanimate one that cannot be blamed for its associations. I only hope that the measures these stores have taken are temporary and that public ardor against games in Norway doesn't escalate any further as a result of this tragedy. The reaction of those Norwegian retailers is, to be frank, cowardly and a reveal of how little they actually know about the games in question. Not a single one of military games in question has even the -chance- of replicating the knowledge and experience real military personnel would acquire, is a slight against both the personnel in question and the video game community. Call of Duty is about an accurate simulator of military events as Wii Sports is to actual sports. As for World of Warcraft, the question of whether or not they pulled every single other MMORPG springs to mind. Do they realize that while WoW has been the posterboy (as well as whipping boy) for the various fads and problems that have plagued the genre for years, they're hardly the only one? EvE Online, Guild Wars, Lord of the Rings Online, Maple Story, the list goes on and on. The sad truth is that while the genre tends to be a rather believable excuse for reclusive behavior, one must wonder about the sort of friends and family that would let such a thing happen. I'm not sure that saying is MW2 is nothing like what he did is entirely accurate. There is a level (which I'm sure everybody has played already) that has you play an undercover U.S agent that is trying to win the trust of terrorists. Almost all of this level is massacring innocent civilians at an airport. It warns of you of disturbing content but such pointless killing that is core to the story can be told instead of played. 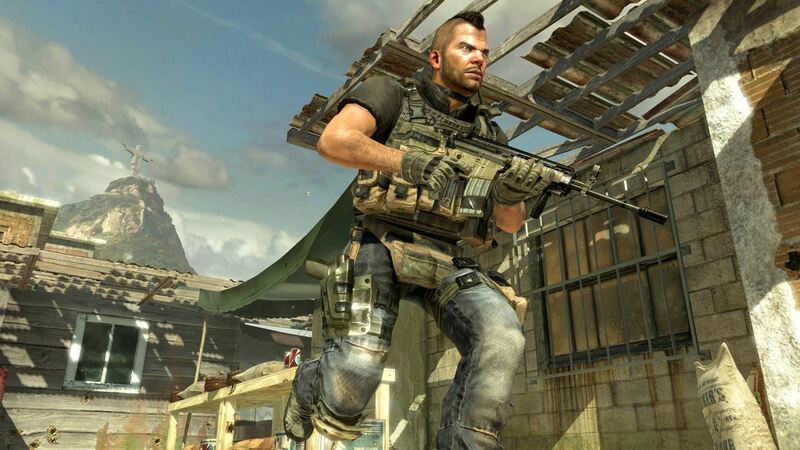 Infinity Ward expected a maturity that some clearly lacked. That's a pretty good point. The rest of the game definitely has no bearing on what he did, but there is a connection with the airport scene. I somehow doubt he played that scene over and over again, though. That could be what drove him to madness! Repetition! Probably. The video game industry will almost always take the flak anyway.